from 3 pcs. 3,06 EUR ea. from 10 pcs. 2,53 EUR ea. from 20 pcs. 2,28 EUR ea. from 40 pcs. 2,06 EUR ea. 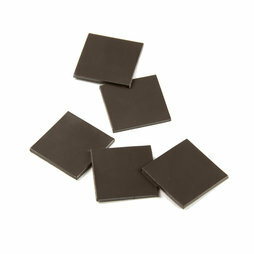 These small magnetic squares are made of strontium ferrite and flexible plastic and come with a self-adhesive backside. You can use them to attach photos, cards, drawings, etc. to iron surfaces. Just push a little plate out of the sheet, remove the adhesive film, attach the plate to the backside of a card for instance and press it on - done! Now you can hang up the card on the fridge or a magnetic board. 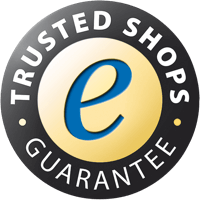 If you order 1, you will receive 1 sheet with 40 angular magnetic squares size 20 x 20 mm.